Situated between Wells-next-the-sea and Sheringham, Blakeney is an idyllic coastal village noted in the Domesday Book as one of a small number of ports around the estuary of the River Glaven. Under the care of the National Trust, the Point is a nature reserve and sanctuary for migratory birds. Its marshes and grassy dunes attract birdwatchers from afar. Blakeney's Church of St Nicholas was built in the 13th century and its fine tower is one's first sight of Blakeney when approaching from any direction. During the summer months Blakeney becomes very popular with holidaymakers and various water sports are organised. Marine stores cater for the sailing fraternity who flock to the area to enjoy its picturesque setting. 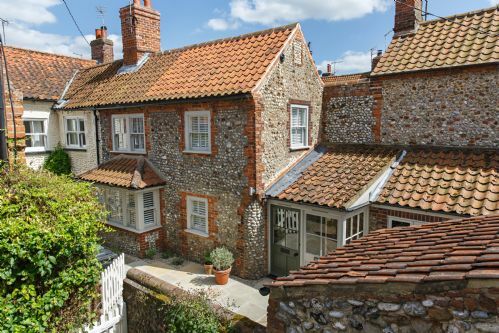 With its Georgian frontages, cobblestone fishermen's cottages and alleyways that lead into pretty courtyards, Blakeney is an interesting village to explore on foot. 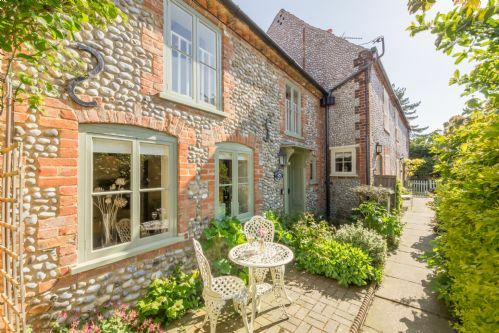 Just a two minute walk from Blakeney’s famous quay, this charming property has been refurbished to a high standard and provides very comfortable accommodation for six people. There is a raised decked area to the rear of the property with tables and chairs and views to the sea. 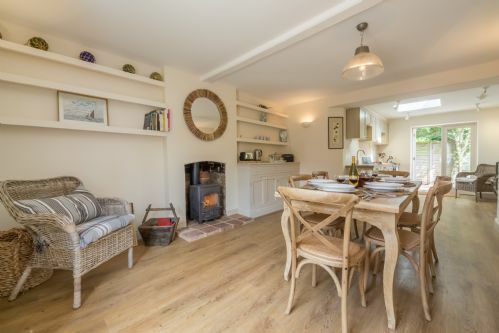 A beautiful and very comfortable traditional cottage in the centre of Blakeney. The sitting room has a log-burning stove and opens onto the lovely, sunny courtyard garden garden. The master bedroom is romantic and restful with charming original features. A superb secret hideaway for six, tucked behind the High Street, with outdoor space both back and front, to catch the sun all day round. 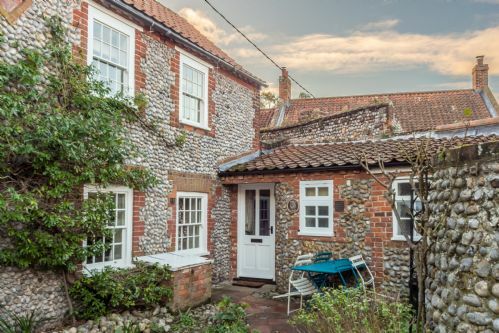 A traditional flint faced cottage over 200 years old and situated in a quiet lane just off Blakeney Quayside. It has been beautifully restored to a very high standard with quality furnishings and fittings. 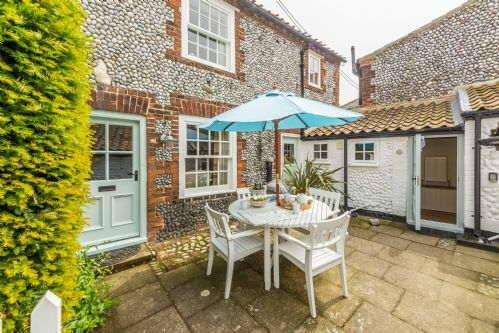 Tucked away in a quiet 'loke' just off Blakeney High Street, Hollyhock Cottage is a perfect coastal retreat for a small family, couple or friends to enjoy at any time of year. 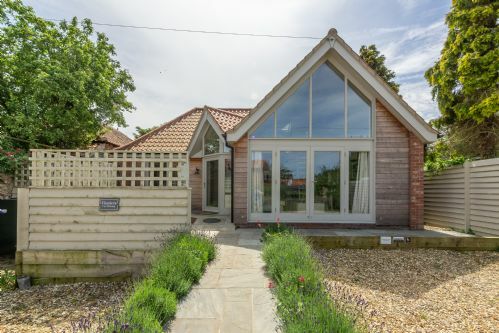 Tucked away down a little loke, Cranford is a very stylish single storey luxury property made for two and set in a secluded location at the top of the high street in the beautiful quayside village of Blakeney. 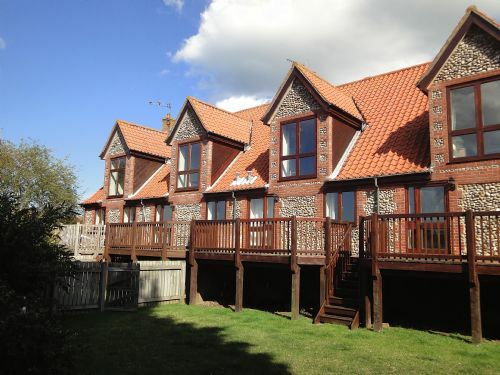 Summerdown is a stylish and romantic self-catering cottage just for two, set down a little loke in Blakeney. 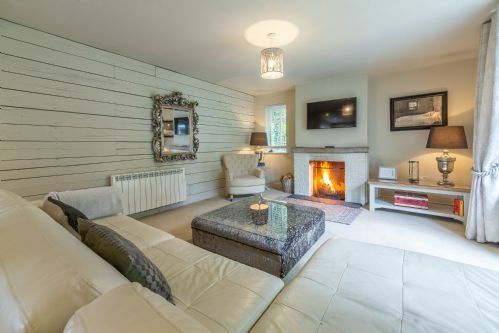 With its peaceful setting and outside fire pit (perfect for toasting marshmallows), this luxury coastal self-catering retreat offers cuddly couples a blissful escape for two and comes with a super cinema room too. A deceptively spacious traditional brick and flint cottage tucked away in the heart of Blakeney, just a two minute walk from the Quay. Beautifully styled and furnished with comfort and quality featuring high on the list, you will find Sea Holly House a very peaceful and relaxing place to stay.